The Dawn of Thanks - News - Mobile Legends: Bang Bang - Powered by Discuz! Mobile Legends has prepared tons of surprises and gifts for everyone! Check out the overview of the events listed for Thanks Giving at the Land Of Dawn. 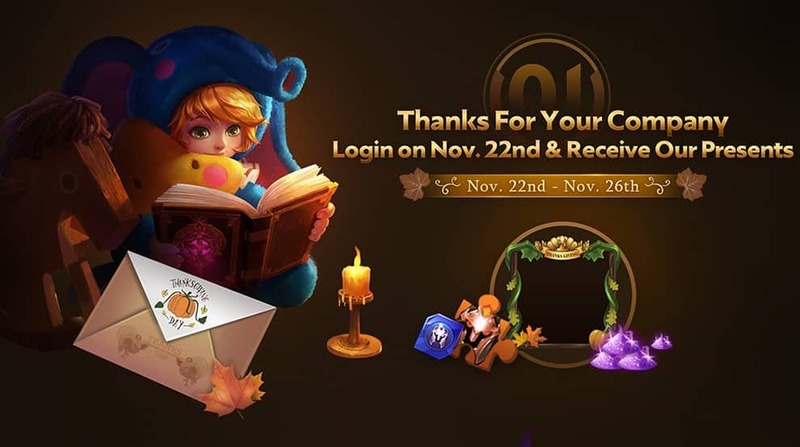 1)A Letter Of Appreciation- The developers has prepared a special letter for everyone that will be logging in on November 22nd to 26th which players can read and receive various rewards including the thanks giving border thru the events page. 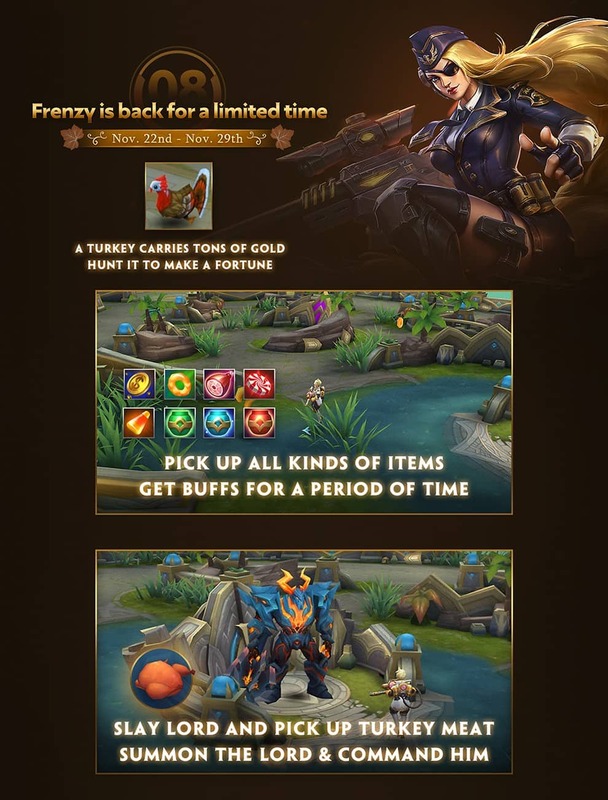 3)Thanks Giving Collect and Redeem- From November 22nd to 28th, Players will have the chance to collect turkeys throughout the first four matches they have in classic or ranked at the same time there will be quests available for players to further collect turkeys in the events page. 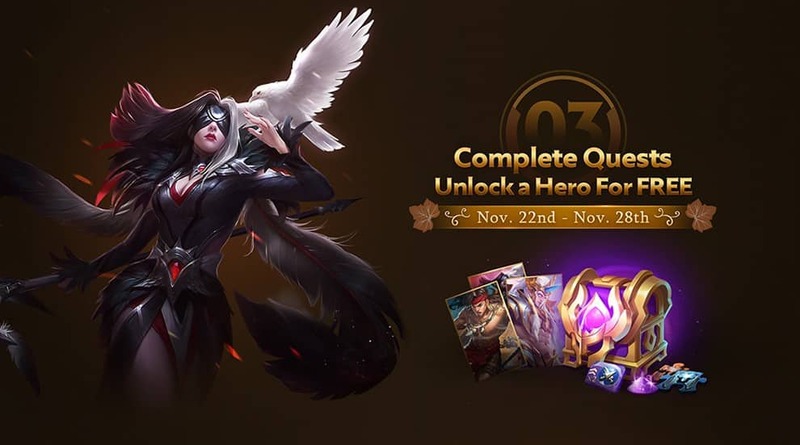 After collecting enough players can then redeem their choosen prize of either the ultimate prize of unlocking a permanent hero(Pharsa,Lapu-Lapu,Hylos) or other goodies. 4)Double BP- Starting November 22nd to November 26th players will have their first match of the day be doubled in terms of BP gain wherein regardless of it being a win or a loss the BP you gain from your first match will be doubled. 5)Shop Discount- From november 22nd to 26th, the shop will refeature old bundles of various heroes at the same time, they can also be purchased seperately at the discounted price of 30% off. So don't miss out this opportunities to grab these heroes and skins at a cheaper price! 6)Frenzy Mode- Frenzy mode is one of the old custom game modes we have last year but this time, it is back with a twist!